Tourism plays an increasingly important role in many communities and providing distinctive, attractive public sign systems is a vital component of a successful tourism program. 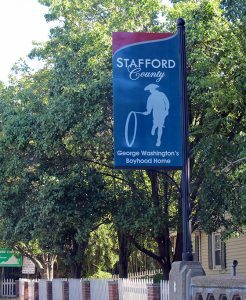 Gateway signs, community-wide wayfinding sign systems, and area-specific street identification signs not only enhance visitor experience, but also create civic pride and reflect community character. Frazier Associates has been at the forefront of the design and implementation of improved signage and wayfinding programs for communities throughout the mid-Atlantic region as well as nationally. We began our wayfinding services over a decade ago as a natural extension of our community revitalization projects. On wayfinding projects, we combine our expertise in urban design, community planning, architecture, streetscape, and graphic design. These signage projects typically include gateway welcome signs, directional signs, and parking signs. Street signs, banners, kiosks, and pedestrian signs may also be a part of these projects. The result is a comprehensive graphic brand for the community, which can extend beyond wayfinding to advertising and websites as well. Leading the way in innovative design, we are proud to have produced Virginia’s first regional wayfinding system at the Historic Triangle of Williamsburg, James City and York Counties. Additionally, we have been affiliated with the Virginia Main Street Program since 1986, serving the needs of over 30 Main Street Communities large and small, and thus understand the importance of attracting investment and new businesses, as well as residents and visitors, to downtowns, local amenities and attractions. Wayfinding is an excellent means of accomplishing this goal. We are committed to excellence in all projects and believe a quality product is achieved by clear communication and partnership with the stakeholders involved and understanding Federal Highway Administration and State Department of Transportation standards. Our 30 years of experience and flexible approach enable us to customize wayfinding solutions to meet each client’s needs and create a system that truly reflects character, community, and pride. Frazier Associates’ work in wayfinding extends beyond communities to include parks, museums, educational institutions, and regional systems. Explore our experience and find out how we can help design a wayfinding system that reflects and promotes your community. Please contact us today by filling out our contact form or calling our office at 540-886-6230.